‘The book is as compulsive, detailed and human as the most stunning political exposés. Not only that but it offers a surprisingly inspiring and positive story to what increasingly seems to be a jaded and angry world. It will keep you gripped to the final dramatic finish’. I received a galley copy of this book far in advance of publication, this was made evident by the attached author’s note and contents pages stapled together and used as my bookmark during the week or so I spent reading it. The actual publication is not much different in looks, and rest assured it is a high quality book with 14 pages of 34 fine images and finished with references, sources and an index. Towards the end of his presidency, Barack Obama was asked why he and Secretary Hillary Clinton only tried to legislate against the responsible gun owners, ‘the good guys’ as opposed to criminals. The question was posed by a gun shop owner in an auditorium crowd during a question and answer segment following the town hall meeting in Elkhart, Indiana in 2016. Succinctly but with his characteristic pauses for more thoughtful erudition, Obama replied that legislating against any gun issue was actually impossible. As soon as any US politician raised any objection to the current firearm laws in that country they got blocked, Obama argued. Far from being able to ban specific guns or remove them from responsible people, the President said that he couldn’t even amend current legislation regarding the sale of firearms to dangerous people without tremendous opposition, crippling the government’s ability to effectively deal with the problem by legal means. A large reason why this is such a hot button issue is because the right to bear arms is written into the US Constitution. Those who tamper with it are accused with tampering with the very DNA of the nation, no matter what the subject is. A large proportion of the citizens of the USA have clung to their right to defend themselves against the “redcoats” for almost the same amount of time that the Untied Kingdom proscribed Catholicism. And as Antonia Fraser reveals it was for similar reasons. Since the Reformation, Protestants in what became the United Kingdom had felt similarly strong emotions regarding the question of Catholicism. England had stayed an independent Kingdom because it had fought catholic Spain as a Protestant nation. After two disastrous catholic monarchs, the importance of retaining this defining religion as a part of the state was reinforced during the glorious revolution of 1688, ensuring that no catholic could effectively do anything public in Britain and the Protestant model became the bedrock of the constitution. By the late 18th century this three pillared constitution, which served to both maintain the sovereignty of parliament, the integrity of the monarchy, and the ascendancy of the Church of England was as sacrosanct to United Kingdom as the Federal constitution is today to the United States. Even after over two hundred years, people who had as much to fear from Catholicism as they did from a rainy day, maintained Elizabethan levels of paranoia and loathing for any popery and read the first tentative steps towards Catholic relief as the first rip in the fabric of the nation. As the blurb on the back of The King and the Catholics says this book begins with those first tentative steps and the terrible reaction. This reaction was known as the Gordon Riots and it was the worst incident of public disorder London had seen in living memory. The scale of paranoia and hatred against Catholics in England came to the surface during this tumult. No longer a subject of theory and heated discussion but out in the streets and burning in the night sky for all to see. The Gordon Riots demonstrated why so little progress in religious toleration had been made since the reformation. The ancestral, culturally incubated, loathing of Catholicism was still the thing that what many thought made them who they were. It would take another enemy to shake that belief. The French Revolution, and then Napoleon, had a way of altering everything they touched. 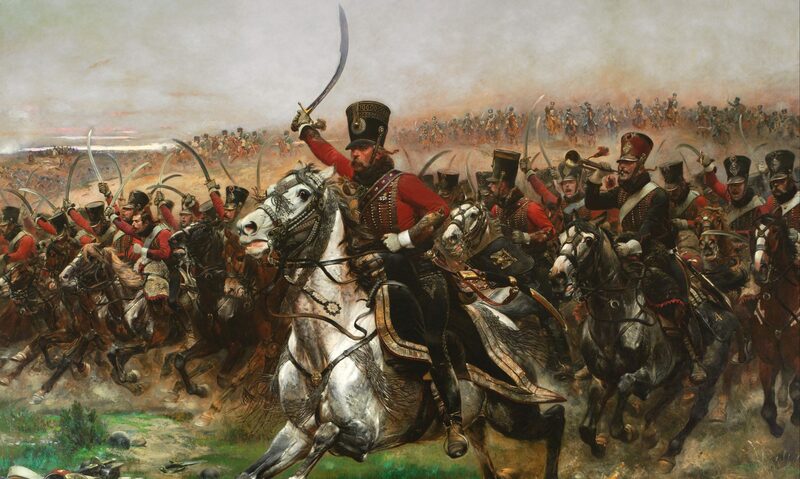 It didn’t matter that by 1815 both seemed to have been defeated, because the box had been opened and Revolution was still tangibly in the air. So horrified by the godless butchery in France, many had been unable to withhold their sympathy for the catholic refugees fleeing the Terror. Not only that but as Britain was at war with Revolutionary and Napoleonic france, she was then by extension, allied with the old catholic order and invested in seeing it once more victorious. Not only did the British government expend vast sums of treasure and countless lives in the downfall of the Revolution and Napoleon, they opened their doors to the refugees, many of whom were of the very religion the Gordon Riots had attempted to eradicate. In the wake of the great French wars unrest and discontent spread across the country. Reform, not revolution was now in the air, and the next great shift in the balance brought the catholic question, shelved during the conflict due to an old King’s unbalanced mind, back to the fore. The shift came from Ireland. 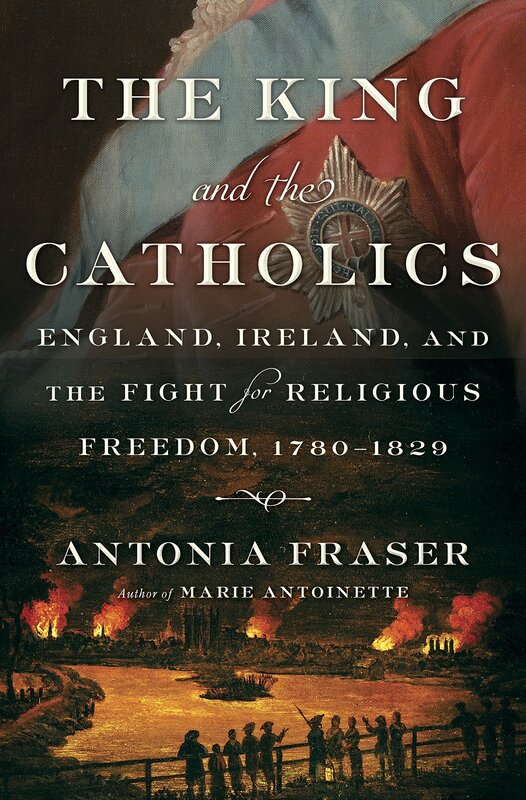 As the book title says, Antonia Fraser has identified that this fifty year struggle to allow religious freedom for Catholics comes down to Them and the King. Or indeed perhaps a better way to put it would be that the struggle was between the Catholics and the Kings. This book focuses on no less than four, and only two of them actually wore a crown. The other two were kings in their own right, however. One was the voice of the people, the uncrowned King of Ireland, King Dan, Daniel O’Connell. The other, King Arthur, the great Duke of Wellington. Fraser blends together the story from the Gordon riots to the final victory in a book written in the finest narrative tradition, reminding us that her generation, produced some of the finest history book ever written. Explaining what it meant to be a catholic in England at this time and how it could be sustained. How the ground was laid for change, the trials and triumphs of reconciling the Irish and English Catholics. How the liberator O’Connell never gave up and stormed all in his path. And how the explicitly anti reform, ultra Tory, Duke of Wellington, who at heart only wished the tranquility of the nation and would support whatever he felt best answered that brief, was the only man in Britain, who once convinced, had the ability to give an ultimatum to George IV. And how the two George’s were men trapped by a constitutional oath (and their human frailties) which they felt they could not break without nullifying the authority state they reigned over. I will be giving away 3 copies of this book to my readers in the USA. So keep your eyes peeled for the announcement. Next PostNext New Video. 2 Minutes at Barter Books, Alnwick.